A patriotic alternative with this Union Jack Candle Torch - Pack 4 (Candle height 20cm x diameter 2cm, Packaging height 21.5cm x width 9.5cm x depth 2.5cm). 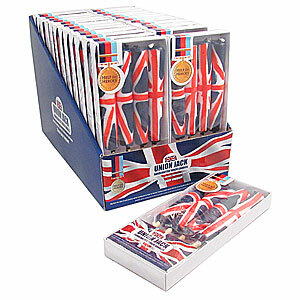 This help for heroes inspired torch candle comes in the traditional colours of The Union Jack red, white and blue. 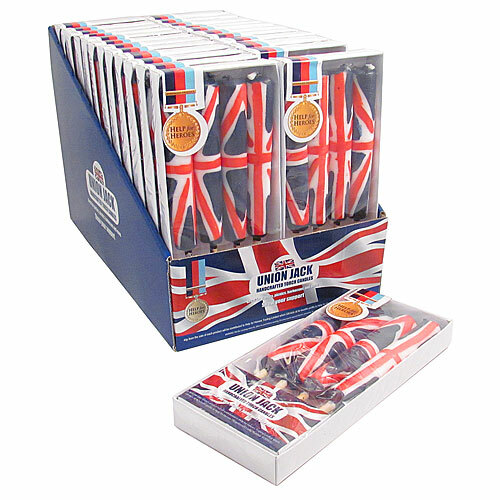 Packs are supplied individually so try an eye-catching display box of 24 to help you sell more.